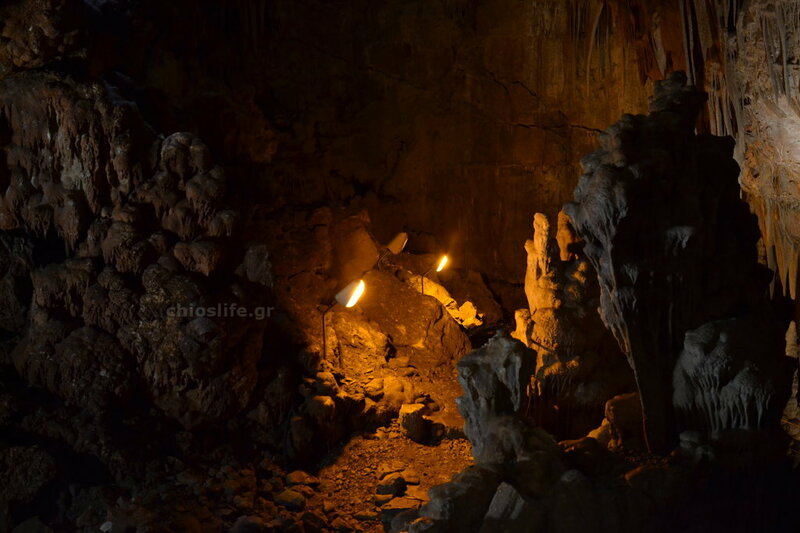 The cave of Olympi (also known as cave Sykia) is located on the South part of Chios island, near Olympi village and not far away from Pyrgi and Mesta villages. 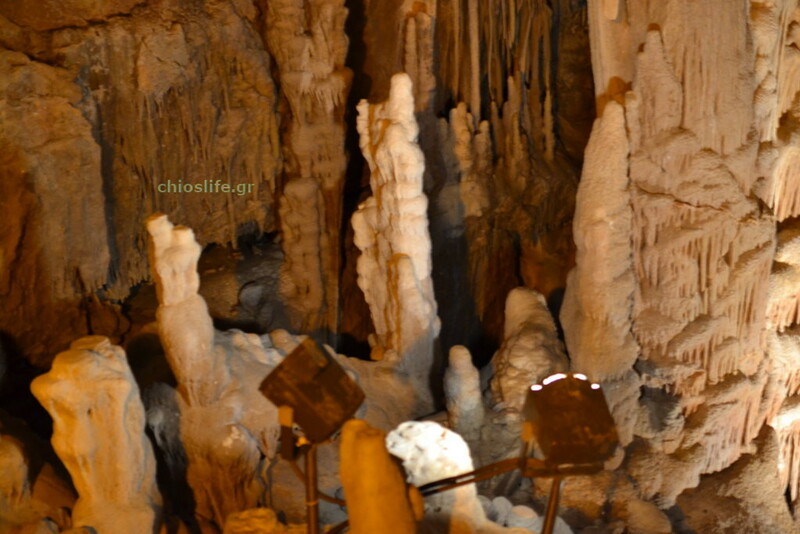 It was explored in 1985 by the Hellenic Speleological Society and it is open for public since 2003. It is located 100 meters above sea level and its maximum depth is 55 meters. Although the cave is relatively small, its interior full of stalactites and stalagmites is exceptional, making it one of the best of its kind in Greece. The dimensions of the main room of the cave is about 30x30 meters. There are some smaller rooms around it. 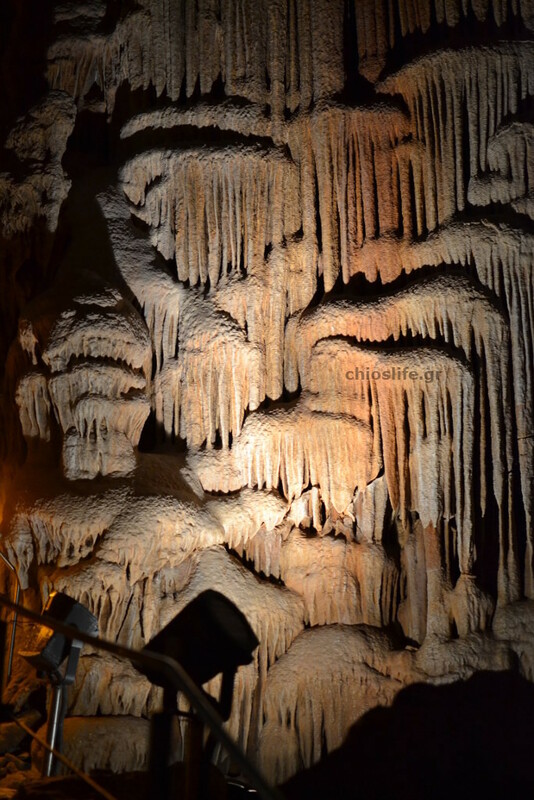 The roof is covered with stalactites but the most impressive part of the cave is the stalagmites. Furthermore, thanks to the air flows inside the cave, there are eccentrites in it (a kind of stalactite that does not develop vertically) - and they almost look as if they defy the law of gravity! It is worth noting that the Olympi cave is still active even today. The formation of stalagmites and stalactites has not stopped. That is why human intervention must not affect the micro-climate inside the cave. Hence the double door entrance system for visitors which stops any air currents from outside. The temperature (18 degrees Celsius) and humidity (95%) within the cave remain almost constant throughout the year, while the water drop flow varies. The stalactites and stalagmites of the cavern are created by the chemical deposition of calcium carbonate from the rain water entering the cave. 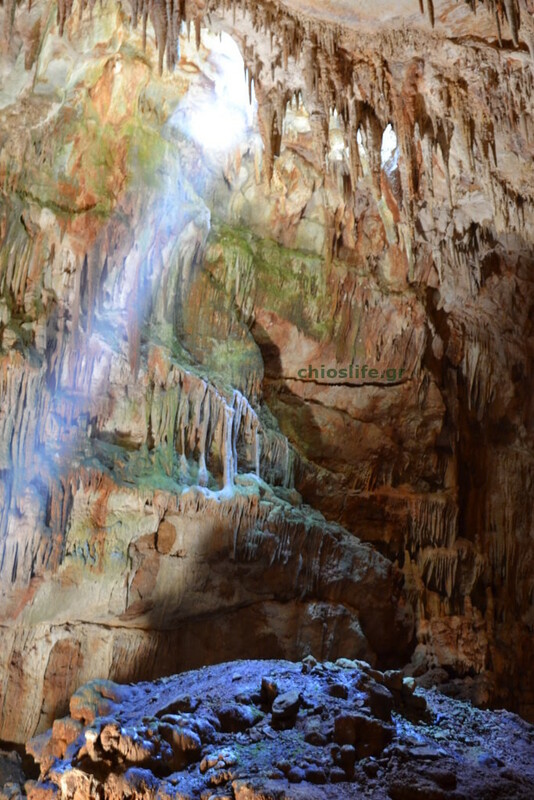 The sun rays, entering from the cave 's natural entrance of the roof, combined with the colors of the cave (red, yellow and white), make for a stunning view.